Erastus Snow served many missions for the Church. On one occasion he debated 6 Campbellite ministers at the same time. What was unusual about this situation? 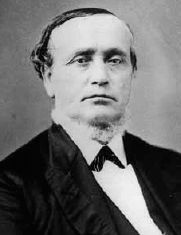 After settling in Utah, Parley Pratt continued to serve missions for the Church. The last of these was to the East, where he visited his beloved friend and fellow apostle John Taylor, who was residing in New York at the time. Although only fifty, he sensed that his life was almost at an end and expressed this feeling to Brother Taylor in a poem entitled “My Fiftieth Year.” On his return trip home, some enemies of the Church in Arkansas entangled him in a trumped-up and illegal charge. He was given a trial and freed by a judge who said that he had never experienced such a sublime feeling and influence as he felt in Parley Pratt’s presence, and that “if there is such a thing as an Apostle of Jesus Christ, Parley P Pratt is such a man.” After the trial, members of the Church warned Brother Pratt that his life was still in danger and offered him protection and arms for his journey, but he refused. Shortly thereafter, while continuing homeward, he was accosted near Van Buren, Arkansas, by three of the men who had pressed these fictitious charges against him and was brutally assassinated. Flake, Lawrence R., Prophets and Apostles of the Last Dispensation, (Provo, Utah: Religious Study Center, Brigham Young University, 2001), 361.